No replacement for medical compression garments when treating veins! 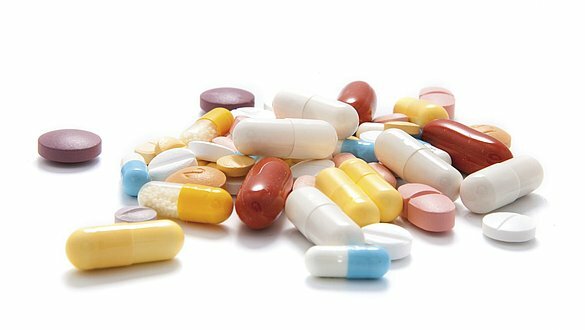 Many people who are affected by venous diseases reach for ointments and tablets, not least because of advertising. Don't let yourself be misled by this, because these cannot repair loose, distended venous walls or redundant venous valves. Medical compression stockings are the basic form of treatment for venous diseases. They have a defined pressure gradient that diminishes from the heel up to the thigh. This mechanically reduces the veins' diameter, the blood no longer pools in the legs and is transported back to the heart. Plant-based active ingredients such as horse chestnut or vine leaves support treatment and cool and care for the skin. 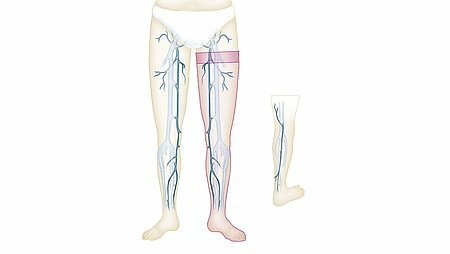 However, once a functional venous disorder has been diagnosed, these preparations cannot replace the compression stocking. The ointments must also be compatible with the compression garment material. Using the skin care range from medi keeps you on the safe side. The constituents witch hazel (seals the blood vessels), horse chestnut (tones up the blood vessels), menthol (refreshes and cools) and jojoba oil (calms and regenerates the skin) complement compression therapy and care for stressed skin.